Using the same potent formula, 100% pure Garlic is a high quality liquid supplement. The traditional beneficial effects of Garlic are promotion of circulation, discouragement of respiratory conditions and sweet itch.This oil based product blends Parsley and Linseed Oil to enrich the Garlic and boost the nutritional content. 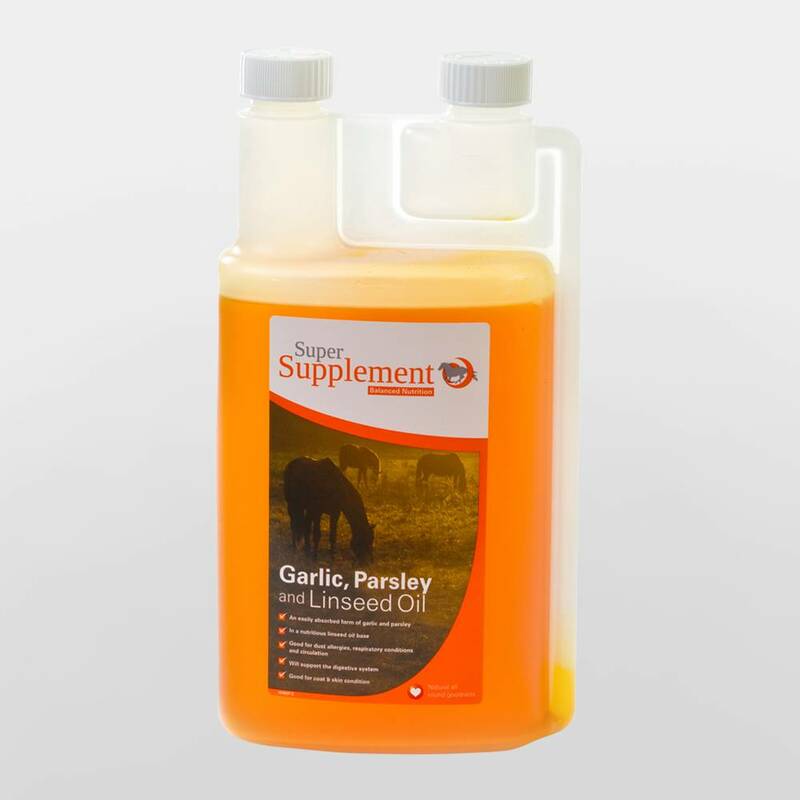 Top quality product from a reliable and trusted manufacturer, Super Supplement Garlic, Parsley and Linseed Oil is a sure winner. Below are some recent questions we've received regarding Super Supplement Garlic, Parsley & Linseed Oil, including answers from our team. Hi is this product suitable for dogs to take ?